Converting your loft can be good value for money when improving your home and increasing your living space. An L-shaped dormer loft conversion can be a good option for creating more room at the top of your home. Popular on period, terraced properties, this type of loft conversion creates a lot of space, usually adding at least a couple of rooms to your property. In this post, we give you a bit more information about what is involved in this type of conversion. A ‘dormer’ loft conversion is a structural extension that projects vertically from the plane of a sloping roof. An L-shaped dormer typically involves constructing two dormers – one sits on the main body of the house and the other then extends out over the rear addition of the property. The dormers meet to create the ‘L’ shape. This type of conversion is most suited to Victorian and Edwardian properties that tend to have the kitchen and bathroom at the rear. An advantage of the L-shaped conversion is that you are able to replicate your first floor in terms of space and design. Under Permitted Development Rights (introduced in 2008 by the Department of Communities and Local Government), you typically do not need to have planning permission to build a loft extension on a house if the extension is adding less than 50 cubic metres of new space to the property (and less than 40 cubic metres if the house is a terrace). However, there are some cases when you will need planning permission and it is wise to double check the requirements with your local authority before starting your project. For example, you will need planning permission if the side of your house with the conversion faces the road or if your house is in a designated area (e.g. conservation area, Area of Outstanding Natural Beauty, etc.). 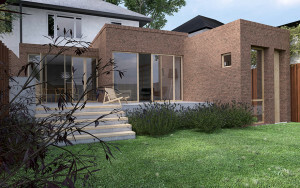 The conversion will still need Building Regulations approval and it is worth having an approved design before you start work. On first glance, L-shaped dormers appear to have a flat roof. Instead, they tend to be built with a 1:50 fall to the side to ensure that water does not pool on the roof of the loft. 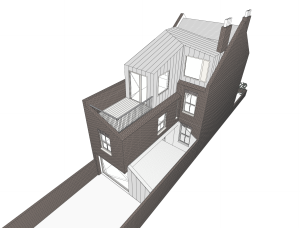 To make the extension look less ‘top-heavy’, it is common to step the sides of the dormer slightly and create a small border around the edge of the structure, blending in with the existing slope of the roof. There are several other technical considerations to take into account during design and construction. For example, you will need to consider fire precautions and escape windows, ventilation measures (especially if the extension includes a bathroom or shower room), thermal and sound insulation of the new structure, and how you are going to supply electrics and heat to the new space. Investing in a good design will ensure that your extension adds to the ‘look and feel’ of the original property, rather than detracting from it. Extending your home is something you might do for a variety of reasons. Perhaps your family has grown and you need an extra bedroom, or maybe you want some additional living space, a home office, or a way to bring in more natural light. Whatever the reason, extending your home is likely to add value to the price of your property, as well as make your home a more enjoyable and comfortable place to live. In this post, we look at options for extending your home, what value it might add to your property, and some recent projects of our own that show you the types of things that can be done. Extensions tend to range from adding a few square metres to the living area, to multi-room or multi-storey additions. Extensions require planning permission so it can be a good idea to look at what other people have done in the area and consider whether your plans are reasonable and realistic in comparison. It is important to work with an architect and/or builder that is recommended, either by someone you know or through trusted registers such as that held by the Royal Institute of British Architects (RIBA). 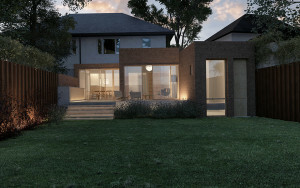 It is sensible to work with an architect who has experience of work that suits your property’s style, as well as a track record of successful planning permission applications. In London, property costs around £5,000 to £10,000 per square metre. Outside London, these figures drop to between £900 and £2,000 per square metre. You can take these figures into account when estimating how much value an extension is likely to add to the value of your property. Multiply the area gained by the local price per square metre and then offset the cost of the project against this. We have completed a number of residential extension projects in London. These range from single storey rear extensions, to a three-storey extension and complete internal re-configuration. To accommodate a growing family in West Finchley (North London), 110 square metres were added to the Cissbury Ring South Garden Rooms were added to allow an open-plan area that created more fluidity between the kitchen/dining and living area, as well as a new den and study. 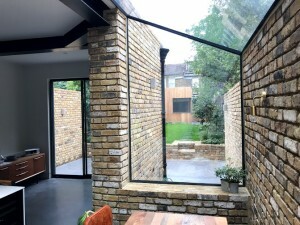 It can also be an option to renovate and/or extend the basement of a property, which was the case in the Stockwell Garden Room (Lambeth, North London). The house was stripped back at the lower ground level to create a more workable basement that maximised the use of natural light. 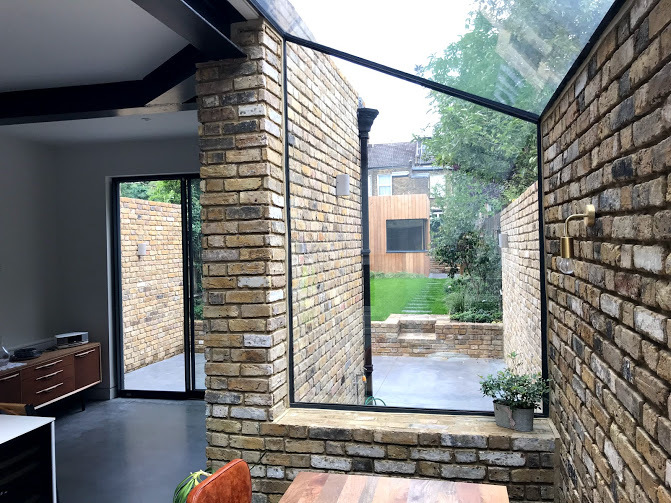 Increasing the natural light in a property was also central to the Burrows Road Glazed Envelope project (Kensal Green), in which the existing ground floor was modernised to create more open-plan living space and a bright garden room with a glass roof was added to the kitchen at the rear.